Now I bet your next reaction is "HOW 🤔🤔🤔??" It's no longer news that Nigerians can now use paypal but with several limitations, We can only send funds out and not receive funds. Now; that's a big blow... For pro and upcoming internet marketers, small scale international business men, bloggers, freelancers, newbie earners e.t.c. just to mention a few. So as a newbie, Just imagine after earning from PTC sites or Survey sites and then even the small money you've made you cannot withdraw because of PayPal wahala, And before you know it, it discourages you and you quit. As a freelancer or blogger, Imagine after earning from fiverr, ad networks and other platforms you can't even WITHDRAW. I'm telling you to imagine after earning so maybe it sounds cool, NOW.... imagine the limitations this brings and money we lose daily and opportunities that bypass us because of a paypal account. 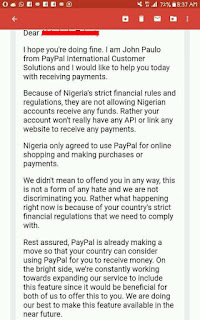 There are several ways to earn online but the problem is most of them uses only paypal which by implication means all Nigerians are not allowed. 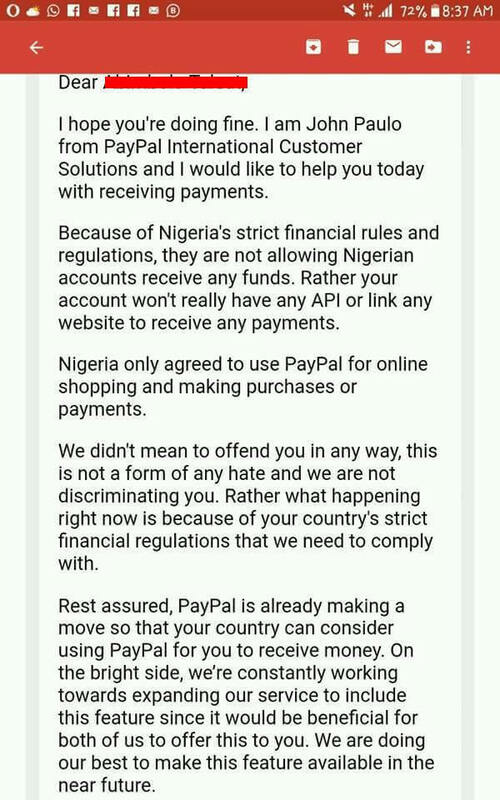 PayPal actually says the restrictions and regulations by the government is why it's services aren't available to the numerous well meaning Nigerians. This made me sad and I started looking for how to solve this issue. But prior to this time some Nigerians still was looking for a way to get in so they were using VPNs and Foreign address e.t.c. Whereas what am talking about is a stress free straight to PayPal solution without the fear of ban or anything. 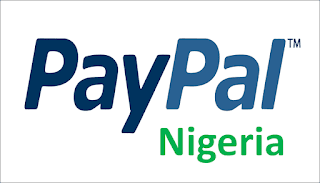 Truth be told; If you really want to make money online or receive payments from abroad, PayPal is always the best option. In fact anyone who wants to make huge money on the internet must have a PayPal account. Now; I can't drop the Naija PayPal blueprint here also just like that because it might enter the wrong hands and will be tempered with. I'm giving this for a token to those who need it, that's why it's for a token. 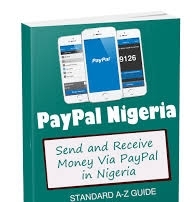 Hassle free verified PayPal account in Nigeria that receives money.